Watch ‘Obey Giant’ on Hulu! 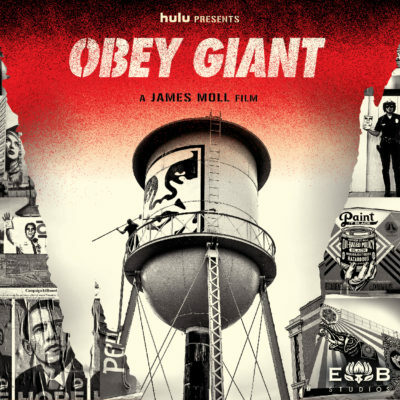 You are invited to an exclusive screening of ‘OBEY GIANT,’ a documentary profiling the life and work of artist Shepard Fairey, following his roots in punk rock and skateboarding, to his creation of the iconic Obama HOPE poster, and the controversy that surrounds it. From Director James Moll and Executive Producers James Franco, Jennifer Howell, and Elysium Bandini Studios. *Please be aware that limited seats are available. This is first come, first serve, so get there early! Doors open at 8pm.